Warehouse Pallet Racking. 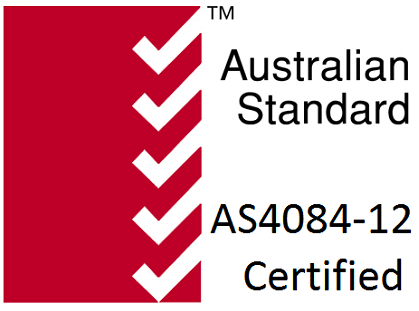 AS4084-2012 Certified. In Stock Now. We Offer Volume Discounts. Call Us On (02) 9482 4288! SuperRack pallet racking is recognized as a most efficient and versatile Dexion compatible racking storage system in Australia. Our pallet racking maximizes space use in any warehouse configuration while still retaining the prime requirement of product accessibility. SupeRack pallet racking is manufactured with 1.8mm / 2mm high grade steel. We guarantee quality, best service and value to our customers. Designed and manufactured to International Standard ISO9002. Complies fully with Australian storage racking standard AS4084-2012 and additionally with the European code FEM. Features a selection of frame and beam sections and sizes to accommodate light and heavy duty needs, and has a variety of optional storage accessories for awkward and non standard loads. Finished with a powder epoxy-polyester coating, polymerized at 180 degrees C and is lead free. 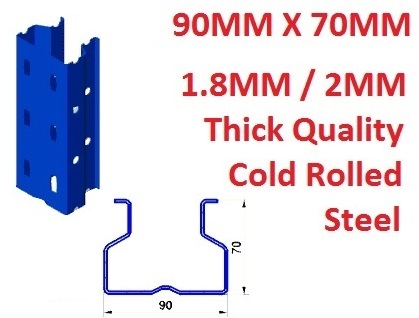 Pallet racking frames have an optimal 90mm X 70 mm profile for uprights manufactured with high quality cold rolled steel which can take the rated loads at the highest level. 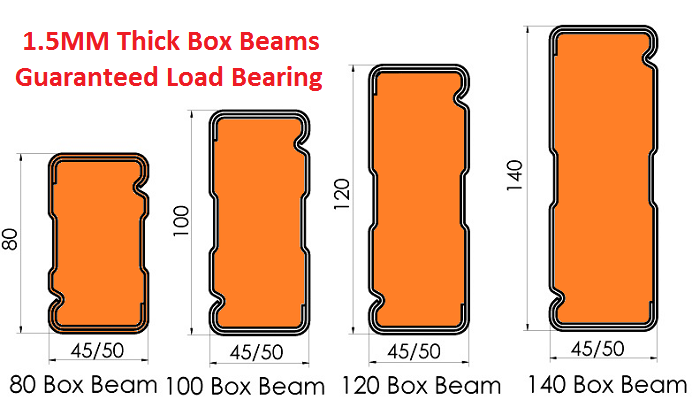 SupeRack box beams come welded on all four sides with the right number of notches to bear the rated weight. Price competitive while not compromising on quality & performance. We don’t cut corners when it comes to SAFETY. Our uprights and beams are made of good quality steel of stated thickness and beams are welded on all four sides. Northside Shelving And Racking is a one stop warehouse pallet racking services company and can fulfill our customer requirements by providing the right advice, design, supply and installation services. We sell second hand pallet racking and offer racking installation and racking audit services. Our warehouses are based in Hornsby and Blacktown in the Sydney Region. We supply and install to all regions in and around Sydney and Interstate.